The other day, I was walking down to Trestles for a lunch time surf (in the name of research of course!) and I had a nice chat with a guy who had cut out of work early to surf. He was from Manhattan Beach - so he had driven over 60 miles (one way) and then committed to the 20 minute walk down to the surf. 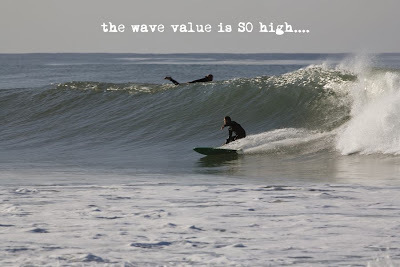 We talked about quality of the waves, the crowds, etc. 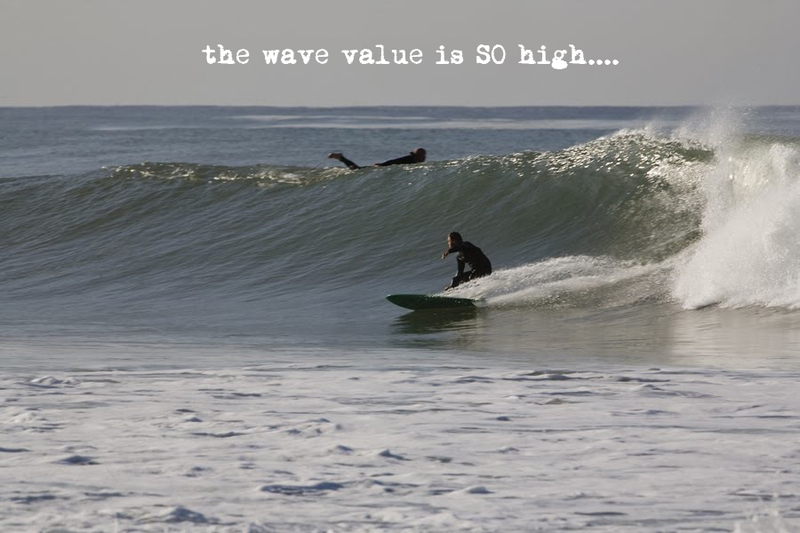 In response to the discussion about the crowds he said, "you may only get a couple of waves, but the wave value is so high that it's worth it". So this guy was willing to drive 120 miles round trip, give up 1/2 a day of work, walk 40 minutes round trip, and brave the crowds at Trestles for a couple of hours in the water - all for one or two waves, because the value of those waves was so high - they were so much fun- it made it all worth it.